I want you to eat healthy and live a long and happy life, including your retirement! What could be better than knowing that you will have both your health and money in your account when retirement comes?! By knowing where to do your grocery shopping and pocket the difference, the average US family could save 180 USD per month. If that money were to be invested instead of ending up as profits in someone else’s pocket (like the owner of the grocery shop), it could become a lot of money. Had the average US family automated this every month for the next 30 years and the average return turned out to be 10% per year, we are talking about a potential 355,000 USD to your retirement fund! No need to be cheap – just be smart about your grocery shopping! The key message with today’s post is not to make any changes in terms of what you eat, I just want you to think about where you do your grocery shopping. As competition within this space is getting harder and harder, I am pretty sure this concept works in most countries. I just want to highlight what a massive difference it can make to your finances, depending on where you shop. This is for sure my own experience when doing grocery shopping. As in every country, we have many different grocery stores here in Sweden and yesterday we went to one called Hemköp. It’s a nice and standard grocery shop with a good variety (not a discount shop). What hit me quite clearly was that their prices were around 20% more expensive compared to where we had been shopping a few days earlier for the exact same products! As we just moved to a new home, we needed to buy a lot of products and yes, I love numbers and paid some extra attention. The interesting thing is that both of these shops I was comparing are owned by the same listed company (Axfood). I don’t particularly want to be flexible in terms of quality of the food I eat (organic, gluten-free, dairy-free, no refined sugar nor processed food), basically I want to eat natural and not man-made “food”. I want to be a qualitarian as I understand the importance of what I put into my body. I want the best fuel possible so that I can operate at peak level without interruptions all day, every day. For more info on this, check out our post What qualitarians eat. So, the shops I happened to compare are owned by the same company and a lot of the things they offer are actually the same brands (which makes perfect sense as that makes their logistics easier and their profits higher). The other thing we tend to see more of is that large chains are selling more and more of their own branded products. They want to make more money and this is a smart way of doing just that. I completely understand that Axfood wants to use their scale and sell the same products in different shops by branding the shops a bit differently. This is smart and also one of the reasons why I am an investor in the company stocks (Axfood). I don’t only want to be a consumer of their products, I want a piece of the cake as well! This means I can do my grocery shopping in the cheaper version of their store and keep the rest of the money in my pocket without having to alter any of the products I buy. I support them and hence, I support my investment and we all need to eat. One comment is that you can of course make an even bigger impact on your personal finances if you become even smarter about what you buy, but that will take more work. This little post was meant to show you just how easy it can be to keep more money in your pocket whilst not changing anything about what or how you eat. If you want to save even more, you will have to do more work and most likely alter what you buy, when you buy it and from where you buy it. It’s pretty straightforward. If you can get the same products at a significantly lower price, you should do so! It might not make sense if you have to travel far by car to find a store with the same product range but if they are close to each other, then there is no reason why you should not do it! Let’s look at some numbers: According to the United States Department of Agriculture (USDA), an adult spends on average 300 USD per month on food and if you have kids around 10 years of age it will cost you approximately 150 USD extra per kid and per month. For a family of four, that equals 900 USD per month or 10,800 USD per year. Simply finding a store that offers the same groceries but for 20% less on average, can save you a lot of money (180 USD per month). By eating healthy food and exercise regularly you will very likely live longer and be able to be much more active than most. This also mean you will have more time to enjoy your retirement. If you have the funds to enjoy it that is… If you are being smart and consistent with your money, you can make sure you will not only have a long retirement but also an active one with the financial means to properly enjoy it with your friends and family. It might not feel that important to you now but we are talking about a time in your life when you have all your time at your disposal. How do you think you would feel if you by then have all the time in the world but no money? If you have no clue, maybe ask someone who should have been retired already but can’t afford it and is currently working to make ends meet. I am sure they can give you some clear insights! Be smart about your grocery shopping and pocket the difference! We are talking about a difference of 180 USD per month which per year is 2,160 USD. There are only two things I want and that is for you to have the money in your pocket and to invest it for the long run. By being smart about it, invest consistently and diversify your investments (of course automate it) you should have a pretty decent retirement fund and actually be able to afford that retirement and enjoy your time! Just follow our Wealth Sessions for some ideas and inspirations on how to think and what to do. As I mentioned above, I love being an owner and not only a consumer. 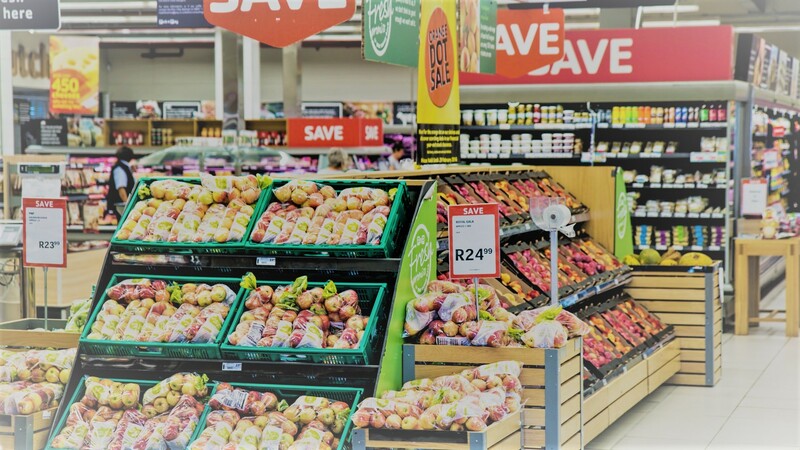 So if you really like what your grocery store is offering, they are making money and you are recommending them to your friends and family, perhaps you want to invest in their stock too (if they are a listed company)? Investing of course requires some more work and you have to make sure it’s suitable to you and your investment profile but I personally like owning a piece (even if very small) of companies I like and buy products from. Let’s just play with some numbers and say you do this for 30 years (and yes you will live long, most likely longer than you think) and manage to get the historical average of the stock market (10% per year), you will have 355,000 USD in thirty years!! This is just one way of making sure you have more money in your pocket. Just think about the feeling of knowing that you always have money and what that will do to your relationship with money. It’s such an easy thing to do, just make sure to do your grocery shopping at the right location and you don’t have to change anything else unless you want to. Your life on your terms of course includes a long, healthy and happy retirement! If you want to, make some additional changes to what you consume and pocket that difference too! How to change your money mindset! How to always have enough money! How to save +1000 USD in a few hours! Buying a new car – Wake the fck up! Low Costs – the effortless way to creating wealth!